PATSY: Disco Beach House! Slather on the sunscreen and take off your tops as we transcend concrete barriers and transform Dalston Superstore into the summer destination you want and need this August! 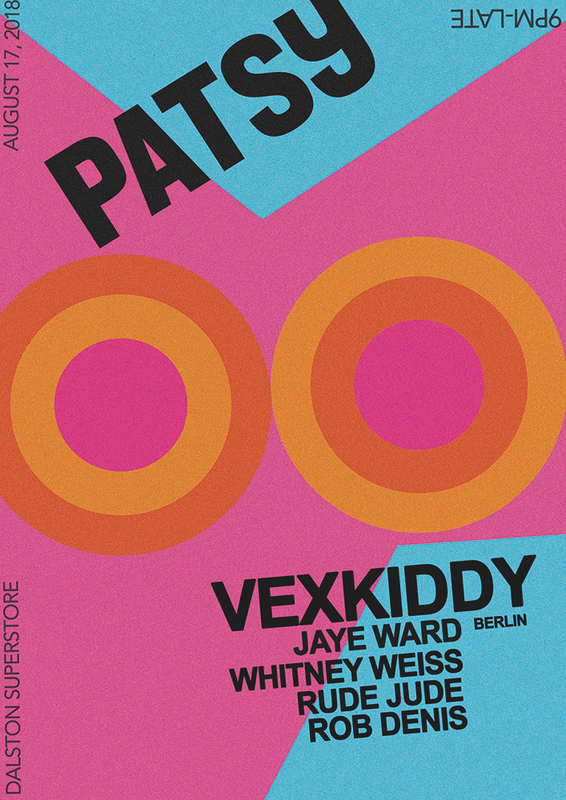 Headlining is VEXKIDDY, Berlin-based label boss/maker of music/thrower of Hot Pony and master of all that is funky, disco, and perfect for a hot summer night! He is joined by Parisian producer Rude Jude, East London’s finest musical alchemist Jaye Ward, resident bae Whitney Weiss and chiffony disco cherub Rob Denis! PLUS our resident adonis SASHA, as always having a swimwear on the bar moment!